The Tigard High School wrestling team battled hard, but the Tigers couldn't take down the league leaders. Tigard, last Thursday, fell 57-23 to West Linn in a Three Rivers League dual match held at West Linn High School. With the win, West Linn improved to 5-0 in league matches. Tigard moved to 2-3 in league matches with the setback. The Tigers certainly had some highlights in the contest, picking up a pair of wins by fall. At 138 pounds, Tigard junior Zack Vorvick pinned West Linn's Jack Wall in a time of 4 minutes and 15 seconds. The Tigers' other pin came at 220 pounds, where senior Carter Dennis defeated West Linn's Adrian Sandoval in 1:03. At 132, Tigard senior Emilio Jimenez scored a 19-4 technical fall victory over Samuel Sulwold. 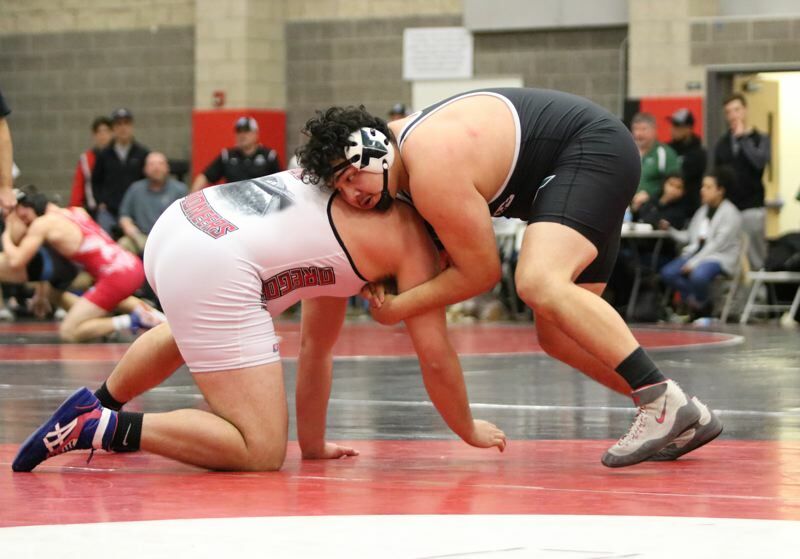 Tigard senior Javier Velasquez picked up a forfeit victory at 285 pounds. Following the match at West Linn, Tigard took ninth place in the team standings at the Bill Geister Invitational, held Friday and Saturday at Clackamas High School. The Tigers had a score of 111.5 points at the 25-team event. Tigard junior Cameron O'Connor took second place at 113 pounds at the tournament. Dennis was second at 220 and Velasquez was second at 285. Velasquez lost a 5-3 decision to Oregon City's Lane Marshall in the finals. Marshall is unbeaten on the season, having pinned all of his opponents except Velasquez, who twice has pushed Marshall to a decision. The Tigers will finish their regular-season schedule Thursday, when they host Lake Oswego in a Three Rivers League dual match finale. Varsity bouts are set to start at 7 p.m.